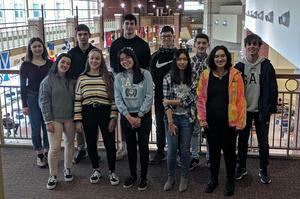 OHS welcomed 12 exchange students this year from nine different countries. Otsego has a long tradition of hosting several exchange students each year. 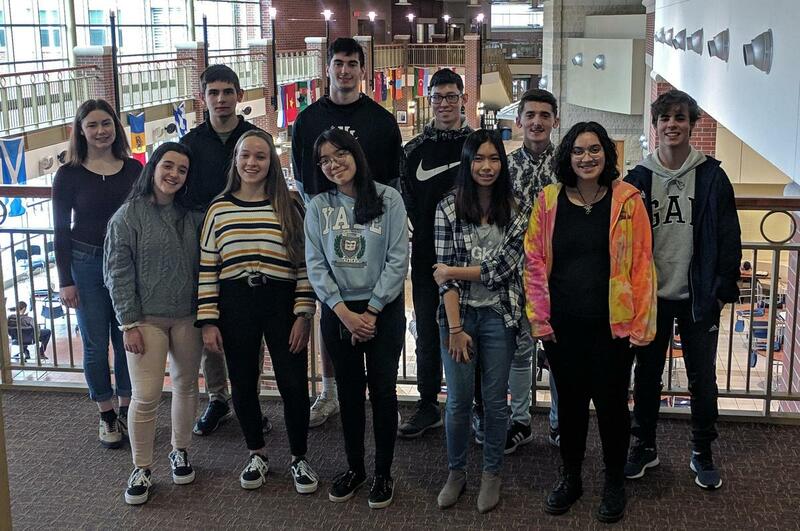 It's an enriching experience for everyone, as our students learn about other cultures while exchange students learn more about American life and school. This year, Otsego has 12 exchange students from nine countries. Front row, from left: Nerea Lopategui (Spain), Josie Paech (Germany), Ngan Bui (Vietnam), Chatchada Chaiveeradech (Thailand), Leah Latumaerissa (Netherlands). Back row, from left: Hnnah Milbredt (Germany), Vitaliy Romanenko (Ukraine), Jordan Ross (Scotland), Yusup Seyidov (Turkmenistan), Arbnor Kurtishi (Serbia), Javier Gil Garcia (Spain).